Cut cucumber in half lengthwise and scoop out the seeds. Spread goat cheese on both halves. Add lunch meat in the center. 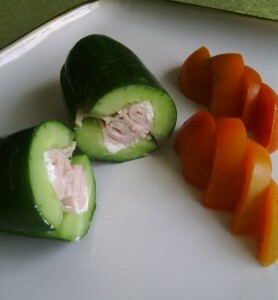 Place other half of cucumber on top.